Welcome, friends and new readers. 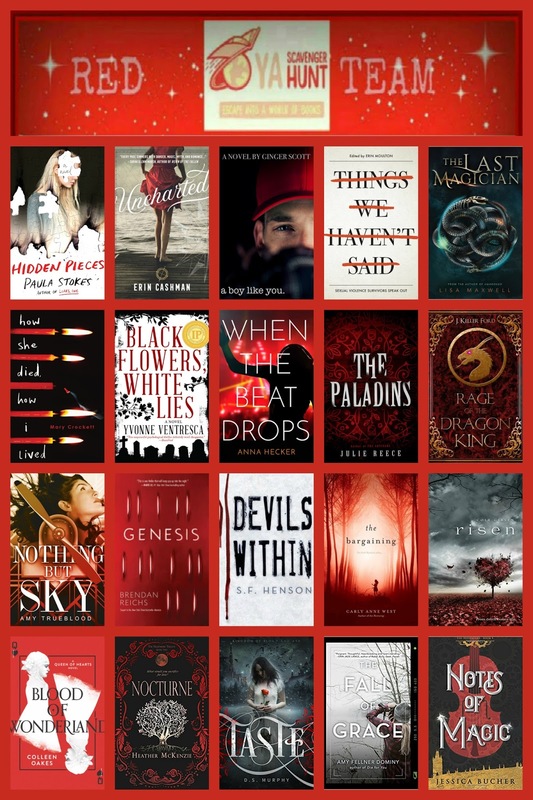 I'm pretty psyched to be a part of the YA Scavenger Hunt this year, so let's jump right in. 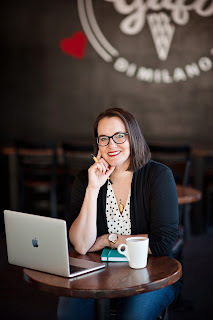 My name is Jessica Bucher, author of The Hereafter and Notes of Magic. It's a beautiful Tuesday here in sunny Texas. Puppy Dog Pals is playing in the background (which means I have exactly twenty-two minutes), my coffee cup is full, and I've already reached my word count 4 today so...woo hoo! Today is already a WIN. You are currently in the RED TEAM loop. 1. Exclusive, unpublished content from D.S. Murphy's newest novel. 4. AND DON'T MISS the Rafflecopter giveaway 4 five (FIVE!) free e-book copies of Notes of Magic! The complete instructions can be found here at the main site. (It should open in a new window so you don't lose your place here. 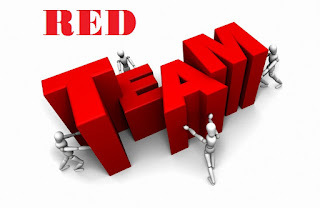 Basically, write down each secret number from every author on the Red Team (there's 20), add them up, and enter the answers on the website in the corresponding team's form. You can enter once 4 each time, but only once. And what do you win...you might be asking yourself...FREE BOOKS from each author! Real books too, not just e-books. So that's 20 pieces of happy book mail per group winner. Heck to the yeah. Now...on to the exclusive content! Today, I am hosting D.S. Murphy. 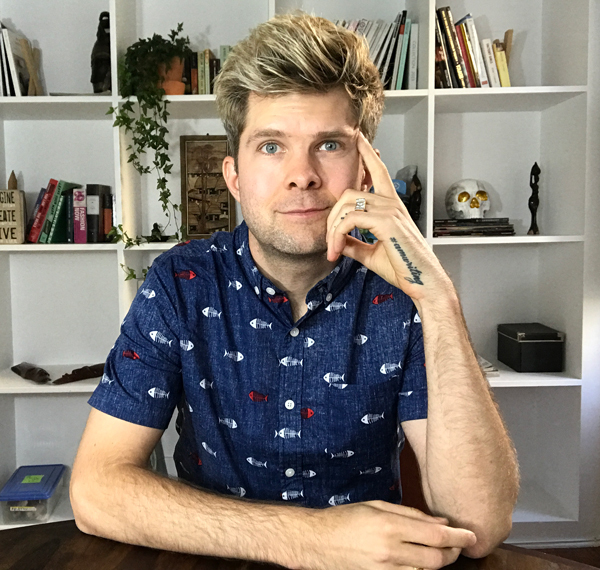 Derek Murphy lives in castles and writes dark fantasy and technothrillers. He's also got a PhD in Literature that collects dust on the shelf next to his books, macabre Halloween decorations, and a toy stun ray that makes inappropriate noises. 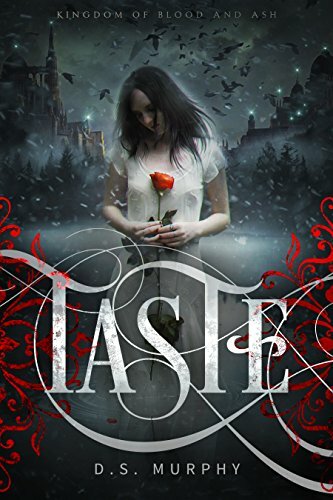 Taste is a dystopian vampire romance. Fans of The Hunger Games, Red Queen, futuristic scifi, and classic paranormal romance will love this unique twist on the 'vampire hunter' mythology. Damien stood with his back to the door. He turned around, appraising me with his eyes. I’d only caught a glimpse of him this morning, when he killed the slagpaw, and I realized my memory didn’t do him justice. He was far more handsome than I remembered. He wore an all-black suit that screamed expensive, with a dark blue tie and that matched my dress. “It’s nice to see you again, Miss Sharrow,” he said, his rich voice felt like velvet in my ears. I hesitated for a moment, as he reached out a hand towards me. But finally I took a deep breath and stepped forward. “Call me Emily,” I said, putting my hand in his. His lips were curved up in a tiny, amused smile. He repeated the name thoughtfully, dropping the syllables like he was savoring them. I realized it was the first time he’d ever said my name. The gentle way he said it sent a warmth through my body. I linked my arm in his as he led me down an arched hallway overlooking a center courtyard full of rose bushes. The floral scent was wonderful, even up here on the third floor. We passed over a narrow stone bridge that crossed over one of the natural streams that seemed to divide the districts. In the distance I could see several more, hundreds of feet high, crisscrossing between the gravity-defying pillars of the Citadel. Some of them looked like natural rock and melted wax. Others were made of glass and steel. As the sun set, the lights of the city began to glow, until they outshone the stars. I couldn’t believe a place like this actually existed. The City of Lights. I was finally here. We reached a spot overlooking the lower layers of the Citadel with a view over the maze-like walls that surrounded the settlement. I’d never been up this high before, and the view made me dizzy. I leaned closer to Damien, holding tighter to his arm. I felt his muscles tense beneath my fingertips and pulled away quickly. The sky was turning a deep purple, casting long shadows through the dark pine trees below us. The air tasted crisp and cool. I inhaled deeply, smelling scents of jasmine and spices from a market down below. I realized suddenly there was no ash here, but I couldn’t hear the hum of any purification machinese. They must have a different system defending them from the barrage of poisonous white flakes. “Like it?” Damien said. I’d spent the last few days thinking about Prince Damien Hartmann, and now here he was, escorting me to some kind of ball. It should have been a dream come true, and yet, he’d barely said two words to me since I got here. He even seemed slightly annoyed, like he had better things to be doing than show me around. “So, um, I guess I should thank you,” I said, looking out into the dark forests. “You know, for saving me from Nigel. Twice.” I bit my lip, waiting for him to answer. “Don’t mention it,” he said casually. There was a sharp edge to his voice that sounded almost like a warning. He was acting like it was no big deal, like he would have done it for anyone. But not only did he save my life in the woods, he’d chosen me. We were supposed to get married, and I couldn’t even tell whether he liked me. Damien’s sharp eyes flicked down to the steel bracelet his father had given me. The red numbers on the screen gazed up at me like angry eyes. I shuddered, remembering the terrifying moment when the limo had been flipped through the air. The amount of force it must have taken to lift a car like that was unbelievable. Damien bent down to meet my eyes. It was the first time he’d made direct eye contact, and the sudden intensity of his green eyes took my breath away. I nodded, and shook my head to clear it. I hated being treated like I was some fragile thing that needed protection. Especially after years of looking out for myself. I lifted my chin and stepped brazenly forward. “So are we going to do this, or what?” I asked, casting a teasing smile over my shoulder. Damien was at my side in an instant. My pulse raced as he threaded his long fingers through mine. “Yeah, I suppose I do,” I grinned. For a long moment, he was silent, and the duration bled into awkwardness. Finally, he dropped my hand and stood a little further away from me, raising an eyebrow quizzically. With that chilling piece of advice ringing in my ears, Damien ushered me down a narrow side alley and over another bridge. I was completely turned around, but then suddenly we emerged onto a huge courtyard. It was lined with trees, but so wide and flat the opposite side faded into the distance. At the center, a crashing waterfall cascaded down from a steep hill, following a straight channel that cut through the stone plaza. Just at the top of the waterfall, a twinkling palace glittered more brightly than anywhere of the other lights in the city. It was a collection of tapered pillars and smooth domes that looked like upside down chocolate drops. A massive set of sweeping stairs had been cut into the bare rock on both sides of the waterfall, wrapping around the torsos of a pair of enormous statues carved into the rock. They were bent over, supporting the weight of the raised platform supporting the citadel with their shoulders. The waterfall gushed between them. “We have to climb up that?” I asked, frowning. I thought we were going to a party, not a hiking trip. My new shoes were already cutting into my ankles, and I didn’t relish the idea of climbing up all those stairs in my dark dress. “There is a faster way up,” Damien said. This time there was a hint of a smile in his eyes. “We jump,” he said, nodding at the platform on top of the hill. It was at least a hundred feet above us. My heart pounded just thinking about it. I didn’t know if he was serious, or making fun of me. What if he was just testing me, to see how tough I was? “Fine with me,” I said, far more boldly than I felt. He stepped closer and wrapped his hands around my waist. He was suddenly way too close, holding my body firmly against his. He raised a questioning eyebrow, and I nodded. Damien took three long strides, then jumped into the sky, holding me with one arm like a teddy bear. My dress pulled against the wind, and then opened up like an umbrella when we started descending. Damien landed first, then let me down slowly until my feet touched the ground. When he let go I was breathless, my eyes wide from excitement. He nodded towards the palace. Up close I could see the entire building was covered in gleaming marble tiles, inlaid with golden ornamentation that reflected the glowing lights pointed at it. A long red carpet ran from the massive front doors to the edge of the platform, seeming to disappear into thin air over the rushing waterfall. A dozen soldiers were positioned on either side of the carpet, so still I thought they were statues at first. Like the ones in our compound, they were wearing silver jackets with black pants. These ones, however, also wore a wide red band around their waists—a sign of the royal guard. As Damien and I walked casually between them, their gaze never flickered. We entered the massive doorways into the largest room I’d ever seen. The high ceilings were covered in frescoes, and golden highlights ran between the enormous marble tiles in the floor. I had shield my eyes from the lights—they were brighter than anything I’d seen before, illuminating every inch of the room as bright as daylight. A few of the men in my compound had flashlights, and the streetlights used electric bulbs, but otherwise electricity was metered, and expensive. Unnecessary power usage was seen as wasteful, even potentially damaging to the purification engines that kept our air free of contamination. But here, the lack of restraint was almost conspicuously absent. The elite must have an unlimited supply of power. Some kind of band with stringed instruments played music that made my heart sing, and I could see people dancing in the center of the floor. At the far end of the palace was a stage, surrounded by white round tables. Each table could fit twelve chairs, and had an elaborate flower display in the center, surrounded by white candles. “Took you long enough,” said Tobias, approaching us with a friendly smile. He was with an elegant woman in a magnificient black dress and a pearl necklace. She was nearly as tall as Tobias, with long dark hair and an elegance I envied. “We took the long route,” Damien grinned. The girl rolled her eyes at him. I held out my hand, but Penelope reached out and grabbed me, squeezing me into a hug. “How long have you two been together?” I asked, hoping I was asking the right question. “Five years,” she said, holding out her hand to show off her ring, which glittered with diamonds. I wondered if that included the three month trial, but I was too embarrassed to ask. “Let’s sit,” Damien said, motioning toward the tables. We picked one and were soon joined by several other couples, and a handful of elites that appeared to be single. Everyone was so dressed up, it was a little hard to tell them apart at first. Mostly, the elites had a calm certainty about them, and a restrained power. They did everything in precise, simple movements. It was easier by far to recognize the other chosen, by their wide-eyed expressions and gaping mouths. I wonder if I looked as impressed as they did by our opulent surroundings. My mouth watered as the first course of the meal was served. Waiters in red coats twirled wide silver dishes, then lifted the lids with a flourish, revealing strange foods I’d never seen before. I groaned as the exotic aroma washed over me. The duck, venison and soup I recognized. But there were also alien looking creatures with massive claws, and something that looked like two leaves stuck together. She showed me how to crack them open to reach the meat inside. I pulled off my gloves so I could eat with my bare fingers, like she was. I saw her eyes slide to the dark red stains on my hands, but thankfully she didn’t ask about my birthmarks. They’re supposed to be aphrodisiacs,” Penelope whispered in my ear, giggling. I didn’t know what the word meant. I raised my eyebrow and she explained. My brow suddenly prickled with sweat, and I squeezed my hands under the table. Was that supposed to happen tonight? I’d assumed intimate contact would be restricted to after the trial period and the formal wedding ceremony, but I realized nobody had told me so specifically. I glanced up at Damien. His smile was warm. He reached over and poured me a glass of wine. I smiled, and took a tiny sip. He was handsome, of course, but I wasn’t sure I was ready to be with him, in that way. Was it expected of me? Did I have a choice? At that moment, spotlights pointed towards the stage and I saw Damien’s father, King Richard, ascend some kind of podium. On either side of him, large screens descended, displaying a close up of this angular features. Somehow his words were spelled out on the wall behind him as he spoke. There were at least a hundred elite in the room, and I knew these weren’t even all of them—these were just the noble families and royalty. I wondered how many elite there were in total. A few girls stood up immediately. Others, like me, waited to be prompted. Tobias and Penelope clapped their hands and smiled at me, but it wasn’t until Damien stood and pulled my chair out for me that my legs started heading towards the stage. In my peripheral vision, I saw Mary coming towards me from the side. I almost didn’t recognized her at first—she was wearing a lacy pink dress that stood out like a bright flower amongst the forest of dark suits and dresses that the elite seemed to prefer. She smiled at me, and I returned the gesture. She was probably feeling as alone and isolated as I was. We’d never been close, but it was nice to see someone I recognized from Algrave. She followed up the stairs behind me and we got in line behind the other girls. Each chosen seemed to have a more elaborate dress. I was suddenly grateful that mine—while luxurious—was also relatively simple and understated. My jaw dropped when I saw Jessica, in a bright yellow dress with a matching hat that looked both ridiculous and stunning at the same time. She strode confidently forward. At my side, Mary nudged my arm and raised an eyebrow. “She looks like a block of cheese,” Mary whispered. “Or a banana,” I shot back, smiling. Once we were all lined up, the king continued. The audience applauded, and I looked back at the stairs, squinting against the bright lights and hoping we could get off the stage again. “One more thing,” the king said, holding up his hand for silence. He drew his shoulders back, and when he spoke again it was soft, so low I saw the humans in the crowd lean forward to hear him. There were murmurs from the crowd, even outrage. I was surprised that not everyone had heard of the attack yet. He let the last few words sink in. I furled my brow in confusion. We were attacked by slagpaw, not rebels. Certainly not elite. Then I remembered the bearded man I’d seen just before the attack, and the way he’d moved—for too quickly for an ordinary human. What was he doing out in the woods, all alone? Was he involved somehow? A spotlight focused on me and I was blinded by the heat and light. I squinted, then raised my hand above my eyes. There were cheers and applause, along with quite a bit of laughter. When my eyes adjusted, I could make out Damien, but he was frowning and looking at the table with his arms crossed, even as elite from other tables came over to slap him on the back and congratulate him. Just as the noise was dying down, I heard someone call out from the back. “What’s wrong with her hands?” Followed by a cackle and a round of laughter. My eyes focused on a dark-haired girl in a black dress, practically lounging in Nigel’s lap. She looked drunk. Was she a chosen? Why wasn’t she on stage? My cheeks flushed red, as I realized I’d left my gloves at the table after eating. The splotlight showed off my marks in stark detail, and somewhere a camera zoomed in close, feeding a live video to the massive screens behind us, so that everybody could see the jagged marks on my hands. My deformity. I crossed my arms, hiding my marks beneath my arms. Blood roared in my ears. I didn’t even hear the king dismiss us, and stood there stupidly until Jessica pushed me from the other side, shoving me towards the side stairs. “Move it, freak,” she hissed. I nearly stumbled down my stairs, fighting to keep the tears out of my eyes. I could already feel the wet mascara and eyeliner. Once at my table, I sank into my seat without making eye contact with anyone, and immediately reached for my gloves. Before I could pull them on, however, Damien’s hand lashed out and grabbed onto my wrist. He looked like he wanted to say something, but instead he squeezed my wrist lightly before scowling at the table again. I wondered what I’d done to disappoint him. When my heart stopped pounding, I took a timid glance around the room, imagining what people were saying about the prince’s deformed new bride. Most of the others had gone back to dancing or chatting with their tables, but I caught Nigel’s gaze as he glared at me from across the room, with such rage and malice it stole my breath away. Damien was wrong. The walls might keep out the slagpaw, but I had a feeling there were far more dangerous things inside the Citadel. We walked home in silence. Damien must have taken me the long way the first time to show me the lookout point for a full view of the Citadel. The way home was much shorter. We passed over two of the covered bridges connecting the enormous towers of the main fortress, and then we were back in the building where we’d started. Damien was pensive and silent, which made me nervous. Was he embarrassed by me, now that I’d revealed myself to the other elite in the Citadel? Was he regretting his choice so soon? I also couldn’t forget about what Penelope had said at dinner. Was Damien expecting us to sleep together? Is that why he was walking me home? Although I didn’t hate the idea of seeing Damien’s godly physique with less clothes on, I wasn’t eager to share my bed with a total stranger. At the door, I panicked. Was this my bedroom? Or was it his? I should have asked earlier. “Do all the chosen live in this building?” I asked, trying to get at the truth. I breathed a sigh of relief. So at least we didn’t have to live together. Not yet, anyway. “Well, I guess I should get out of this dress,” I blurted, trying to find a way to dismiss him without being rude. I blushed when I realized how it sounded—almost like an invitation. He nodded, but frowned, like there was something else he wanted to say. I stepped inside, holding the door, and he placed his palm over my hand. My heart pounded as he leaned in close. My lips parted involuntarily, expecting a kiss that never arrived. Instead, he whispered quietly in my ear, so closely I could feel the warmth of his breath against my skin. “Never hide who you are,” he said. Then he vanished into the night. Did you like this sneak preview? Make sure you download the first few chapters, which are only available for a short time, and follow D.S. Murphy if you’d like to read the full novel when it’s ready! You can also sign up for updates at http://www.urbanepics.com. Thanks for stopping by for the Scavenger Hunt! And yes...if you haven't picked up on it yet, the secret number is 4. Now before you go, don't forget to enter to win an e-book copy of Notes of Magic! And continue on to the next stop on the scavenger hunt ----->>> GINGER SCOTT. Nice information, Thank you so much for sharing this valuable information for free. This blog is valuable and informative. I need this type of blog, thank you so much for sharing this blog. Skratch DJ Academy is the best music production academy in india where you can get the knowledge about the DJ consoles and learn DJ to become a master of Music Production.